Coordinating a conference, workshop, or other special event is hard work. It’s your job to make sure everything runs without any hiccups or problems. You have to schedule and mobilize teams of personnel while keeping guests happy and on task. Whether you’re communicating with staff members or notifying guests about scheduling updates, mass texting can play a key role in the overall success of your event. Here’s how you can use it at your company’s next special occasion. Mass texting can help to start your event off with a bang before it even begins. Though text message marketing can be a useful tool during the event, one of the most valuable ways you can use it before your event is to gather RSVP responses before the doors open. You can ask your guests to text a keyword (“RSVP” is an easy example) to your SMS short code, and log the responses accordingly. It’s convenient for your customers and easy for you to track. Chances are, your guests would prefer to text you their response rather than call or email. The convenience of simply firing off a one-word reply makes it a quick and effective way to get an accurate headcount. Additionally, you can offer VIP treatment at the event to your loyal text message marketing subscribers. Tease them in the weeks leading up to your function with previews of keynote speakers or sneak peeks of games and events. You can organize special deals or giveaways for your subscribers; tell them how and where to redeem your offers at your event. Once it gets closer to the big event, you can start sending out reminders to confirmed attendees. You can also send directions and/or parking advice to your guests’ inboxes as the time nears. Just be careful not to overdo it–one message per week or two is enough. Mass texting is more than a useful tool to connect with attendees. You can also implement text messaging to stay in touch with the staff members that are responsible for running your function. It can be challenging for coordinators to keep tabs on all of the moving parts needed to organize a special event. Mass texting can help. List segmentation is a tool that allows you to divide your subscriber list into sub-groups. You can use this to create a text group for each of the different teams that may be handling parts of your event. You won’t waste any texts, and each team will get only the content that matters to them. Plus, in case of any hiccups, your team can text you back using 2-way texting. You can be confident knowing that you and your staff are able to easily keep in touch. Need to make sure every member of your staff sees a link to a schedule or another important notification? SlickText offers link tracking so you can see who has (and hasn’t) clicked. Your event is likely to be on a strict timeline. If a single step is out of sync, it can mess with the entire rhythm of your carefully scheduled function. It’s up to you and your employees to make sure everything goes according to plan. When you use mass texting to stay in touch with your employees, you don’t have to spend valuable time chasing down each individual team to hand out directions. Instead, just fire off a single campaign to each of your event’s staffing teams. Mass texting gives you the ability to delegate responsibilities and give out assignments with the touch of a button. Using your segmentation tool, you can let each team know what’s needed of them at any given time. If your event has an extensive guest list, things can get chaotic quickly. It can be a daunting challenge to get the attention of hundreds, even thousands of people at once. Believe it or not, there’s an easy way to do it. You can take charge and let attendees know what’s going on in real time when you use mass texting to connect with them during your event. As part of the event’s registration packet, ask guests to sign up to your list by texting your selected keyword to 31996. Explain that this is how they can expect to receive scheduling updates and alerts, as well as any emergency notifications should the need arise. Mass texting is an easy and stress-free way to keep all of your event’s guests and participants in the loop about what’s going on. Make your event even more fun for your guests by using mass texting to create the extra buzz throughout your function. 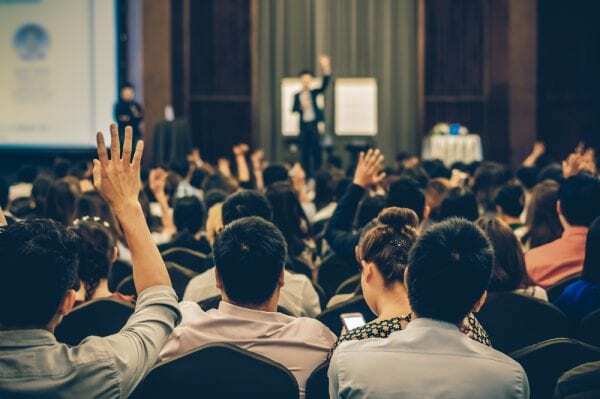 Whether you’re hosting a flash giveaway at a certain location or advertising a keynote speaker, you can get in touch with your attendees as a way to keep things interesting for them. You’ll have more freedom to make last-minute scheduling tweaks when you know that you have the ability to spread the word to your guests quickly. You can even use your mass texting service to hold contests and games for your customers. Text to win contests are a fun and easy way to engage your audience and keep things exciting. If you need to notify attendees about an emergency at your event, mass texting can be a literal lifesaver. Emergencies happen, and while we always hope for the best, it’s important to plan for the worst. When you use business text messaging, you can be at peace knowing that you’ll be able to handle the challenge of directing your guests safely and quickly. With mass texting, you can get in touch with subscribers almost instantly. Since 98 percent of texts are read within two minutes of receiving them, it makes perfect sense that text messaging is such an efficient way to connect when time is of the essence. There’s no reason why you shouldn’t try mass text messaging at your next special event or corporate function. Let SlickText help get you on the right track. Call us today at 800.688.6290, or send us a message. We’re ready to help.